Here you will find the major historic dates about the development of the CL Social Game. November 18th 2011 : The development of a online social game by 3DDUO is announced by Moonscoop. January 13th 2012 : First informations and pictures of the game. March 2012 : Members of the CodeLyoko.fr team became beta-testers of the FB Social game. April 20th 2012 : A teaser is unveiled. 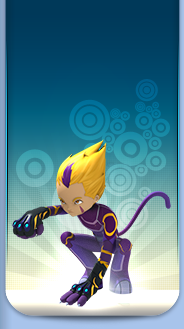 May 2nd 2012 : 3DDUO releases the game Code Lyoko on Facebook in closed beta. May 9th 2012 : This update fixed language issue and graphical effects and animation problems, in particular on Felines, Bloks and Tarentules. (Most of the monsters's name haven't been translated in english in the game). May 10th 2012 : The version 1.0.3 is finally available. Maintenance to add some friend's notification, gift between friends and fix of some bug on the replay option. May 11th 2012 : New maintenance. This one fixes new many bugs, add powers, codes for towers and the capacity to share every battles against enemies on Lyoko with a link to replay it ! May 15th 2012 : New update : Fix of diverse bugs like being blocked in game and some invisible enemies (Sector 17 Prime). The new added possibility of thanking a friend with 1 mini energizer or help him improving with a mini boost Force after a battle ! May 16th 2012 : This update fixed the bug where the name of the sector could be wrong, added analysers, Mantas, Phantom Warrior and new graphical effects for enemies' lasers. May 24th 2012 : This maintenance contains a new available territory, the Mountain, 5 new powers, a clearer interface of equipment, the display when Lyoko-Warriors use their powers in battle, the location of your friend on the map and many other fixes. July 2nd 2012 : The game is in state of maintenance for the last settings before the international opening. July 2nd 2012 : Opening to the Lyoko fans from the whole world. July 12th 2012 : First big news are coming like the possibility to play the 5 Lyoko-Warriors as wanted. The level 94 is reachable with 75 new levels on powers to unlock. August 3rd 2012 : The Lyoko's League is added to the game. It permits you to fight with other Lyoko-Warriors who are in training and to see your rank among other players. - Addition of costumes of the first seasons of Code Lyoko. - Addition of the Citadel sector, first tough challenge for players. - Addition of the equipments of the Citadel for each character. - Addition of many quest more or less related to the Citadel. Novembre 28th 2012 : Opening of the independent website dedicated to the Social Game. December 5th 2012 : At the occasion of the first episode of Code Lyoko Evolution being released on preview on the web, addition of the “Evolution” outfits in the game ! 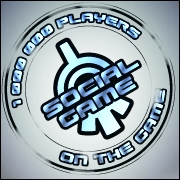 December 19th 2012 : Since lot of players asked for it, the Social Game in now available in Indonesian. February 1st 2013 : Opening of the Aurora & Borealis sectors on the Ice Floe. Ninjas appear with new equipments and quest. A promotional video can be unlocked about the Ninja in the series. A mini-game is added during loading screen and appears frequently during battles. Clicking on them can grant experience and some may even give energy or lyoko-points. - Addition of the Sciphozoa (Méduse) ; Currently the Strongest monster in the game. - Addition of powers on every monsters but Kankrelats and addition of 10% life for those with Protective Field. - Addition of monsters in the last battle of AANX's Lair. - Addition of the equipments set named "Lone" (Ring, Armor, Weapon). April 10th 2014 : Little maintenance game. The ranking undergoes modifications. Now, people you delete from Facebook will no longer appear in your "friends" ranking. In order to attract more players on 3DDUO new game, Monster Alchemyst, 3DDUO sets up a new "mission". If you reach level 5 in Monster Alchemyst, you will receive 15 Lyoko Points in CL Social Game. September 21st 2014 : 3Dduo announced the continuity of the game development and launched a survey to the players to choose what the contents of the next update. Sector 5 received the biggest poll. - Sectors Unknown Island, Alpha Block 01 and Alpha Block 02 in Forest territory. - Sectors Left Eye and Right Eye in Desert territory. - Sector 5 (Carthage), composed of a single, endless area with the difficulty increases for every next level. - Creepers, at Sector 5. - A huge amount of equipments. - Added a function to earn LP by watching small pubs (deactivate Adblock). - Added 7 new missions. - Added more equipments, most of level 80-94. July 26th 2012 : The Code Lyoko Social Game is now on top list in the App Center of adventures games of Facebook. 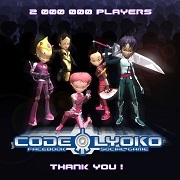 August 7th 2012 : Moonscoop and 3DDUO announce the Code Lyoko Social Game count more than 100.000 active players. August 29th 2012 : The mark of 200.000 players has been topped. September 6th 2012 : The game rises to 300.000 players. 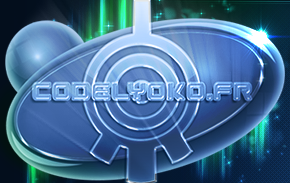 September 26th 2012 : The Code Lyoko Social Game has more than 400.000 active players. October 24th 2012 : The social game related to the animated series Code Lyoko has over 600.000 players and is ranked in the top5 of suggestions of the App Center in Facebook with a score of 4/5. January 5th 2013 : The game has now more than 1 million players. January 27th 2014 : The game broke the 2 million players !